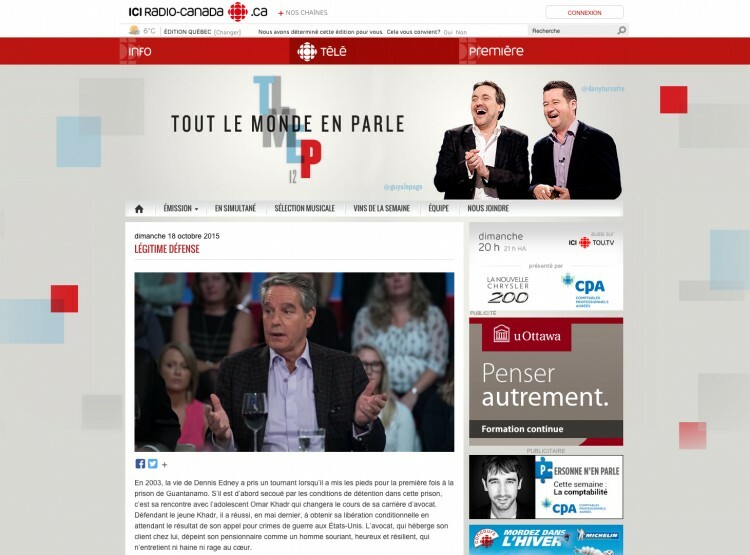 Tune in this Sunday evening, October 18, to Radio Canada television to watch Dennis Edney’s appearance on Tout Le Monde En Parle (20:00 hr)! This is the hugely-influential programme which launched the “orange wave” after Jack Layton’s appearance during the last election. Dennis joins a number of Quebecois icons in a unique opportunity to present Omar’s case to a francophone audience (and to English speakers as well). All thanks to the work from the inspiring Quebec team Pour Omar Khadr.